National Diagnostic Imaging (NDI) uses PACS software to provide teleradiology services to obtain and transmit radiological patient images, radiology exams and diagnostic studies, and to transmit interpretations and reports to referring physicians. National Diagnostic Imaging provides a wide variety of teleradiology solutions for imaging centers, radiologists, hospitals, office-based imaging practices and outpatient clinics. Our radiology reading services are extremely popular with small outpatient imaging centers. 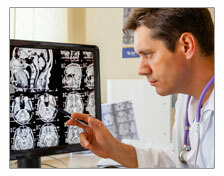 NDI’s advanced teleradiology systems are HIPAA compliant, which helps to ensure patients’ privacy. NDI is a radiology outsourcing company that provides remote radiology reading services and interpretation services via teleradiology. For additional information regarding our outsourced teleradiology imaging services, please use the links below or contact us.